December 5, 2012 Another stellar performance by the Arbutus Singers, this time a return engagement at St. Aiden’s Church. Jack Boomer, the Musical Director, is always at his best, not only as he lead the choir, but also with his easy going manner as he engaged the capacity crowd of 400. As promised to the neighborly folks with whom we shared front and centre seats, the following photographs have been added. A few words about the Choir and last springs presentation follows below. 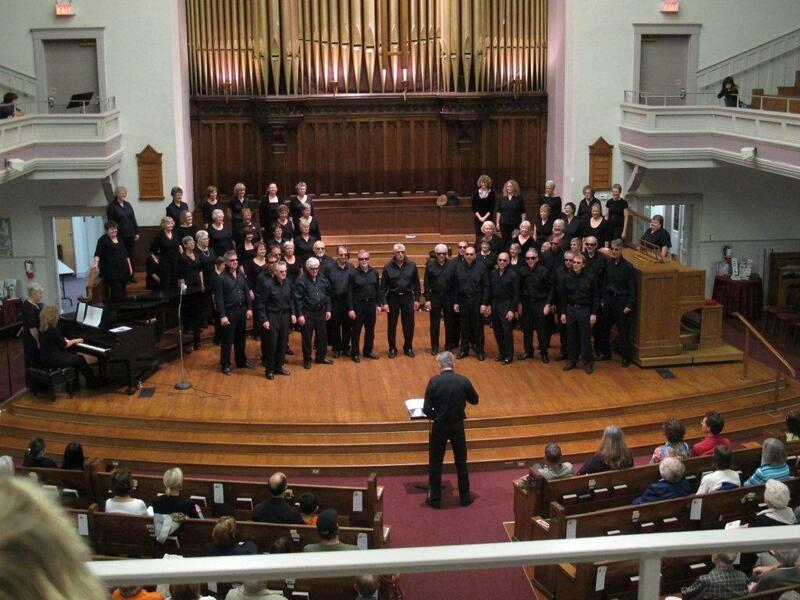 Having so enjoyed the Christmas 2011 performance, Lynn and I returned for another wonderful evening of music and song with the Arbutus Singers who were joined by the Arbutus Kids Choir for several songs. As an added bonus Lynn and I were greeted with a sprinkling of the Cold High School years as Dawna McGowan (Soprano) and her husband Kim (Tenor) are long standing members of the Arbutus Singers. Also Dawna’s twin sister, Shirlee McCorkle and her husband Ross, now both of Kelowna, were in the capacity crowd at the First Metropolitan United Church. Fifty years have elapsed since Shirlee, Ross and I last met and, amazingly when taken as a group, it seems that not one of us has aged a day. Ahh, but perhaps the older mind can play tricks or is it that wonderful singing that keeps one young? The singers, under the artistic leadership of Music Director Jack Boomer, provided the crowd with stirring performances of California Dreamin’, Feeling Groovy, One Tin Soldier, Miss Saigon, Fiddler on the Roof, Yesterday, Greased Lightening and Big Yellow Taxi, among other timeless classics. Accompanyment by Robyn McKinnon on the keyboard (that young woman has now been with the Arbutus group for the past ten years), Jody Onuma, playing the ‘fiddler’ from the upper balcony (guess which song that might have been), Joe Hatherill, on the sax and flute and Paul Longley on the guitar, rounded out the evenings musical adventure. The crowd, with a mix of ages, that, I shall have to admit, tended toward graying rock and rollers and boomers, clearly appreciated the considerable time and effort the director, singers and musicians have devoted to perfecting the performance. A superb rendition of “It’s a Wonderful World” performed along with the Kids Choir, drew another of several standing ovations. 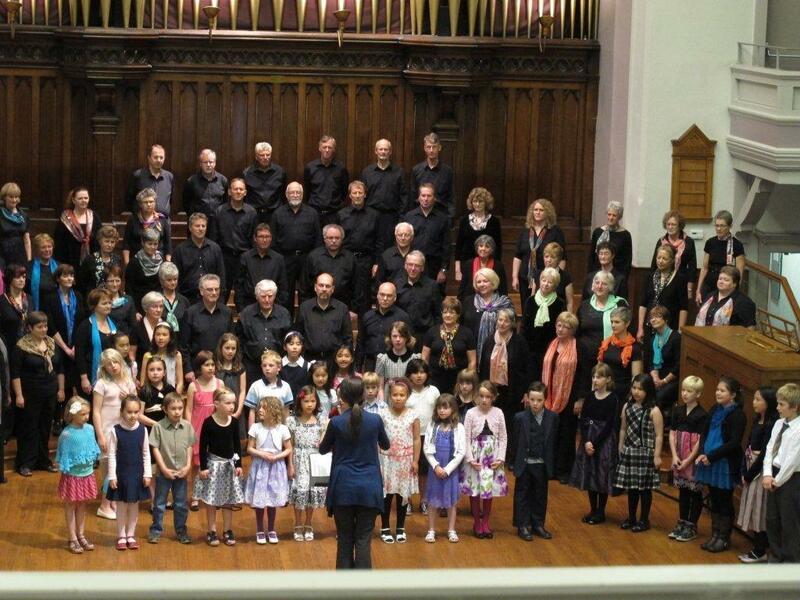 As a special gift to and in recognition of the inspiring leadership of the Arbutus Singers in introducing hundreds of children to the wonderful world of choir music, the Telus Foundation presented the organization with a cheque for $10,000 to help promote music amongst children through the Arbutus Community Outreach Program. Each is to be commended for their inspiring work both on and off the stage. If you have a chance, log onto their Web Site (Link Here). I am sorry to report that June 2, was the final concert of this season, but log in in September, to find the dates of next season’s performances, then attend. Guranteed, you will not be disappointed. Now, would the following be “Men in Black” or “Greased Lightening”?